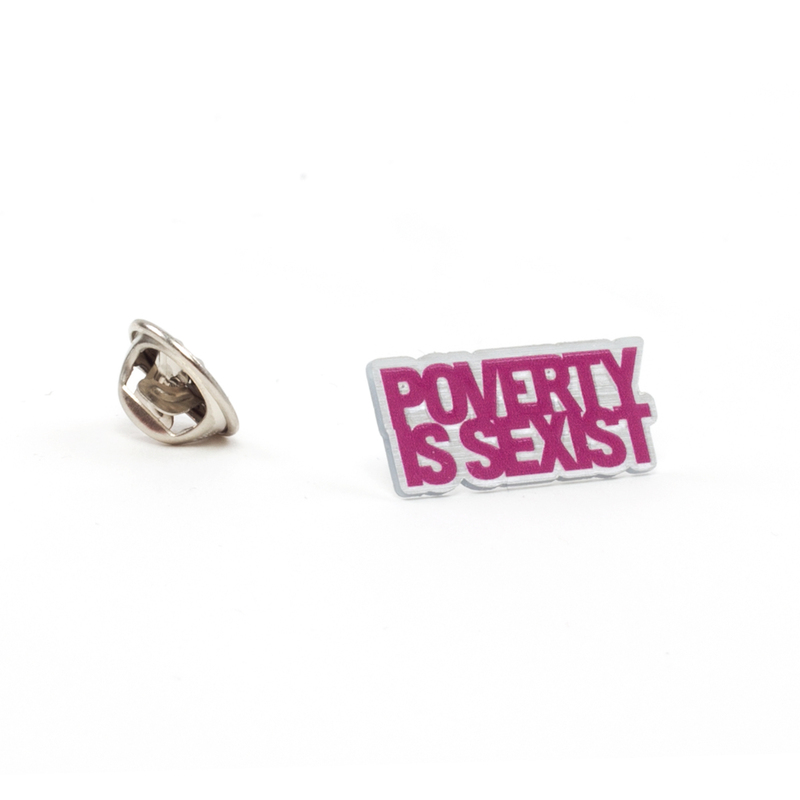 Grab your exclusive Poverty is Sexist lapel pin today - and show the world that sexism is global, and the fight against it should be too. Ethically made in the United States. Measures 1” x 0.5”.